The 32-year-old actress Scarlett Johansson, who was cast as the superheroine Black Widow in the Marvel movie series, at the “Ghost in The Shell” Seoul press conference. The 32-year-old actress Scarlett Johansson at the “Ghost in The Shell” premiere in Tokyo. The 32-year-old actress Scarlett Johansson, who made her film debut at the age of nine in the film “North”, at the 2017 Vanity Fair Oscar Party hosted by Graydon Carter in Beverly Hills. 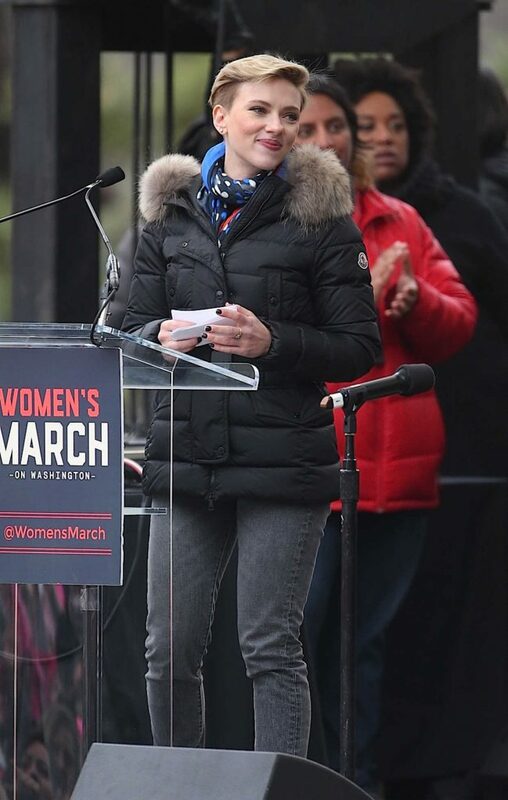 The 32-year-old actress Scarlett Johansson, who won a BAFTA award for Best Actress for her role in the 2003 film “Lost in Translation”, at the Women’s March in Washington. The 32-year-old acclaimed actress Scarlett Johansson was seen out in Paris. The 31-year-old actress Scarlett Johansson, who was cast as the superheroine Black Widow in the Marvel movie series, opens new Yummy Pop store in Paris. The 31-year-old actress Scarlett Johansson, who won a BAFTA award for Best Actress for her role in the 2003 film “Lost in Translation”, was seen out in New York City. The 31-year-old acclaimed actress Scarlett Johansson at Disneyland in Anaheim.